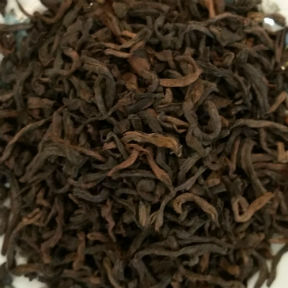 Loose leaf Gong Ting Pu'er 2008, produced in the Yunnan Province of China. Overseen by a tea master, this Pu'er has been fermented for 60 days, produced from tea plucked from 60-100 year old bushes. Rich in flavor with a sweet finish and can be re-steeped multiple times with the flavor mellowing with each infusion. Not as earthy as some, this is a great tea to be introduced to Pu'er.